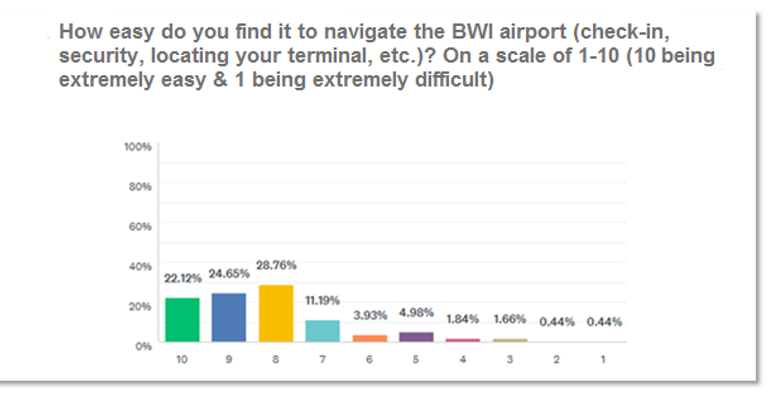 BWI is continually expanding, from valet to new gates it seems there are constant improvements taking place. 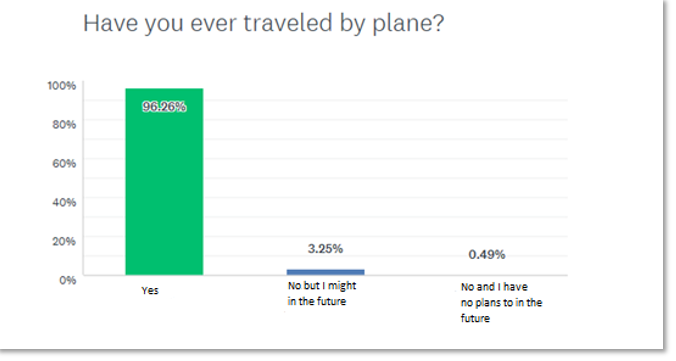 With travel being a necessity for many people, whether it be for their work or personal life, things happening at the airport directly affect those of us who reside in the Baltimore area. 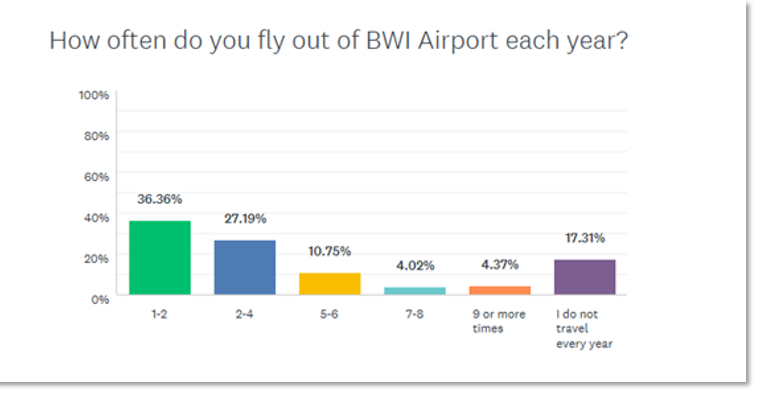 In a recent survey we asked 1,200 Baltimore area residents to share their experience with and opinion of the BWI airport. 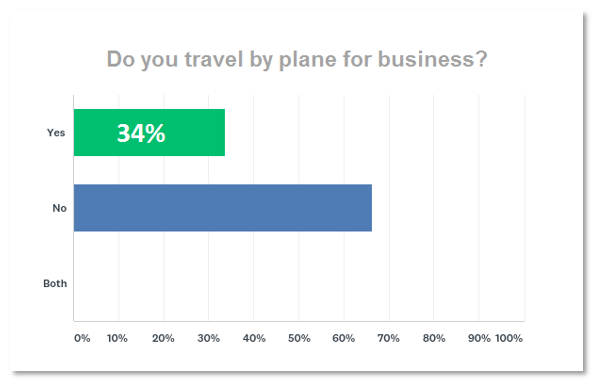 Out of the 34% of Baltimore residents who travel for business, slightly more than half handle (53%) their own travel arrangements while forty-three percent (43%) utilize corporate tools such as the corporate travel department, company travel portal, or executive assistant/administrative personnel. This entry was posted on Wednesday, February 7th, 2018 at 1:43 pm. Both comments and pings are currently closed.